Last week, the Metropolitan Transit Authority officially wired six subway platforms with cell service for AT&T and T-Mobile customers. 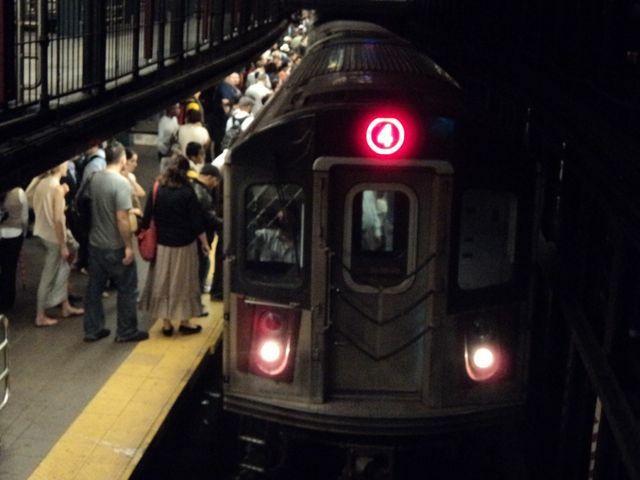 The platforms affected by this change are the F/M and L platforms on 14th Street and Sixth Avenue, the 1/2/3 platform at 14th Street and Seventh Avenue, the L and A/C/E platforms at 14th Street and Eighth Avenue and the C/E platform on 23rd Street and Eighth Avenue. Currently only AT&T and T-Mobile customers are able to take advantage of this opportunity, but the MTA hopes to install service for Verizon and Sprint customers in the near future. "This will extend the usefulness of cell phones into the subways," TKC student John Sailers said. "But I'm disappointed to find out that it's only going to be for AT&T and T-Mobile users." The MTA is also making renovations to the 2nd Avenue station that will hopefully reduce crowding on the Lexington Avenue line. It will also eventually connect 2nd Avenue and the 63rd Street tunnel to existing tracks that go to West Midtown and Brooklyn. The construction will take place in four phases, and the first phase is already complete. MTA is hopeful that the 2nd Avenue project will improve transportation for commuters in the Far East side of Manhattan.